Are you tired of looking at your old and worn out fireplace? 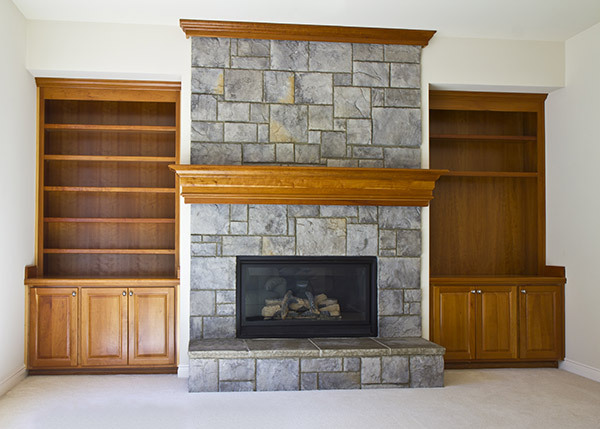 Did you recently move into a new home that has a fireplace past its prime? If you answered yes, then you’ve come to the right place for fireplace remodel ideas. A fireplace can make or break a room. Luckily, fireplace remodeling is something that many homeowners do and there are basically an endless amount of ideas to choose from. You must also keep in mind that, before looks, safety comes first and there are some important things to consider when doing a fireplace remodeling project. In this article, we’ll go over everything you need to know about fireplace remodeling as well as some of our favorite ideas and designs for inspiration. As with any remodeling project, you must create a plan of action before starting anything to ensure that the process goes as smoothly as possible. For example, plan a budget to keep your project in line and prevent any impulse buying that you don’t necessarily need. Don’t worry, there are plenty of ideas out there to fit any budget and still look great. Make sure you measure your fireplace and anything around it so that you can keep everything accurate and consistent. That way there are no hiccups along the road. Also, check with your local municipality for any building codes or permits you need to abide by. This is especially important because you don’t want to run into any legal troubles that’ll cost you a lot of money. After you’ve crossed all your t’s and dotted all your i’s, you can begin tackling your fireplace remodel project. How Will Your Fireplace Burn? One of the first things that you must figure out for a fireplace remodeling project is what type of fuel your new fireplace will use. 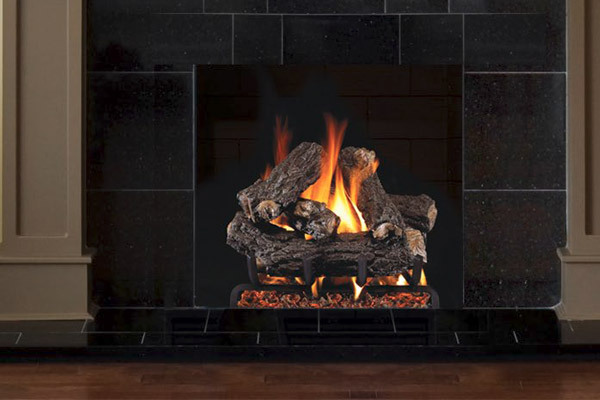 Many homeowners nowadays are converting their wood fireplaces to gas ones because of convenience and energy efficiency. However, there are still a lot of homeowners who prefer the look and feel of a traditional wood burning fireplace and convert an existing gas one into a wood burning one. If you decide to go this route, there are a few key factors you must pay attention to. Learn more in our article about converting from gas to wood. There are also electric fireplaces that are popular for there aesthetic appeal rather than the actual heat they produce. 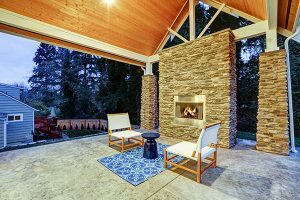 Many contemporary homes feature electric fireplaces. They often come in sleek and exotic designs. 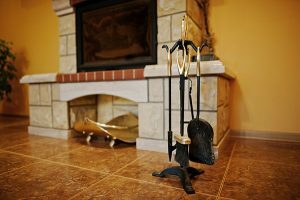 Depending on the type of fireplace you want for your remodeling project, you’ll have to make sure all the parts associated with it are present. For example, if you want a wood burning one, you need to make sure your chimney is in good condition and all the parts work properly. Gas fireplaces will need venting to the outside and there will have to be a gas line installed near the fireplace. Another important step in the fireplace remodeling process is determining the size of your newly designed fireplace. If you’re simply giving your current one a face lift and don’t plan on adjusting the size at all, you won’t have to worry about any new construction. However, if you want to make your fireplace bigger or smaller, you’ll need to make sure you have an experienced contractor do the job. You can never be too safe with your fireplace. When choosing the size of your new fireplace, you’ll want to consider some factors. The size of the room your fireplace is in will greatly influence the size of your fireplace. Unless you want the fireplace to be the absolute focal point of the room, it’s important to keep its size proportionate to the room. If you have too big of a fireplace for a room, it’ll get too hot and be hard to keep the room comfortable as well as looking like it doesn’t belong. On the other hand, a fireplace that is too small will have a harder time heating the room and will also look out of place. As we mentioned earlier, depending on what type of fireplace you want for your remodel, you’ll need to make sure you have all the proper parts. Every wood burning fireplace with a chimney needs to have a properly functioning damper, a flue that’s in good condition and some sort of protection at the top such as a chimney cap or crown. Something you should do before you start doing any heavy remodeling work is have your current chimney and fireplace inspected. This way, you’ll know if you need any repairs, cleanings or replacements moving forward. This is especially important for those with a wood burning fireplace or for those converting to wood from gas. 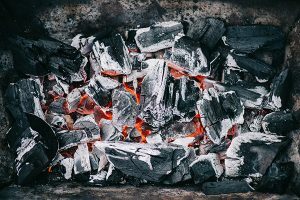 For homeowners in the Chicagoland area that are taking on a fireplace remodeling, you can count on Early Times to inspect your chimney to make sure everything is in good shape. It’s been our mission to make homes cleaner and safer for over 30 years. Now that you know some of the important factors to consider during a fireplace remodel, we’ll go over some of our favorite design ideas to help you get inspired for your project. Many homeowners like to keep their fireplace as simple and traditional as possible. It gives a nostalgic and warm feeling that a more modern style doesn’t offer. For those with an existing brick fireplace, the remodel can be as easy as a new coat of paint. Also, some light tuckpointing can really enhance the look of the room. If your fireplace is really bent out of shape, the best option is to replace the brick altogether. Stone is another very popular fireplace material. It provides an elegant and rustic design that you can’t get with brick. Plus, whether you use natural or artificial stone, it’ll typically be less expensive than a brick remodeling. Stone also helps radiate heat better and you’ll get more warmth out of your fireplace. It also lasts an extremely long time, sometimes forever if it’s well maintained. If you want your fireplace to stand out more and draw attention, remodeling it with slate or marble will do the trick. Whenever there’s marble present in a design, it gives your home added value and makes it feel more luxurious. While this remodeling project might be more expensive, the results are worth it and your guests will be jealous of your amazing fireplace. 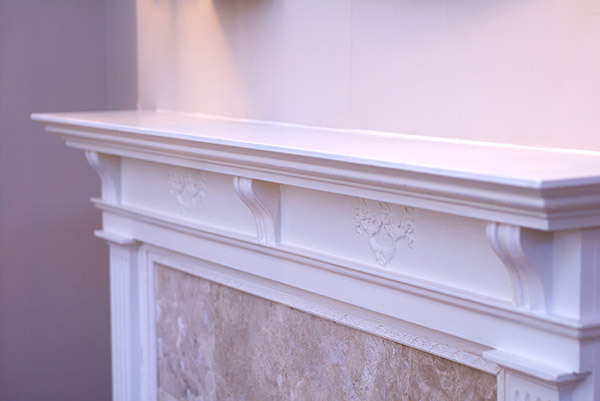 A fireplace mantel can be the missing piece to taking your fireplace to the next level. Mantels are extremely versatile and are only limited to what you have to put on them. Some homeowners even go all out with their mantels, making them elaborate and ornate to help create a focal point in the room. Even something as simple as a floating mantel can completely transform the look of your fireplace. Mantels help you express your personal tastes more than any other fireplace accessory. As contemporary design continues to grow in popularity, more and more homeowners are going this route with their fireplaces. One of the easiest ways to transform your fireplace into something modern and sleek, is having an insert installed. For a contemporary design, you can go with something in stainless steel. 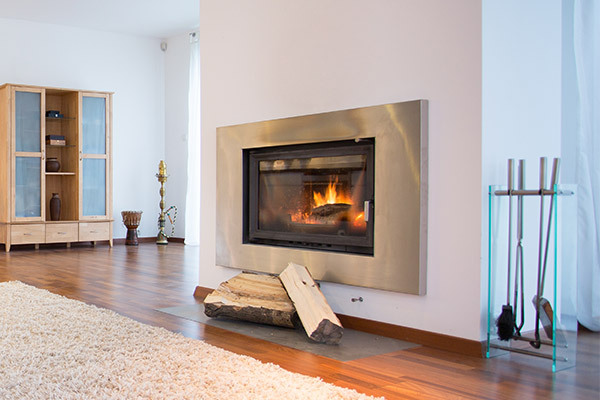 There are many unique designs in terms of contemporary fireplaces. The only struggle is finding which one you like the most. Contemporary fireplaces will certainly increase the value of your home since they’ve been trending and don’t seem to show any signs of slowing down. 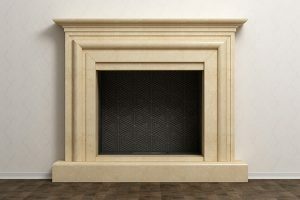 If you really want to make your fireplace stand out more and be more useful, one of the best fireplace remodel ideas is to build a fireplace surround. What’s a fireplace surround? It’s the area surrounding your fireplace and whatever you do to it. The surround includes the mantel, but can extend far beyond that including the hearth and moudling. Some homeowners build an entertainment system around their fireplace and others create a storage system with shelves and even hidden drawers. Fireplaces can either be an amazingly crafted feature, or look completely out of place. 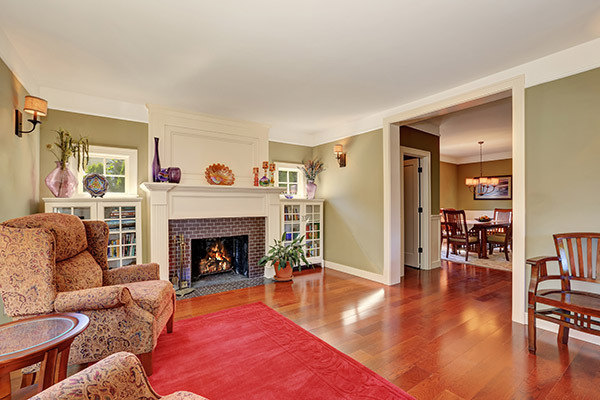 Many homeowners choose to do a fireplace remodel to update their home or increase its value. Whether you’re more inclined for something traditional like brick or want to go all out with a modern fireplace and surround, there’s an idea for everyone. If you’re in need of a chimney inspection, cleaning or need to replace some of the parts so your new fireplace works correctly, you can count on Early Times. 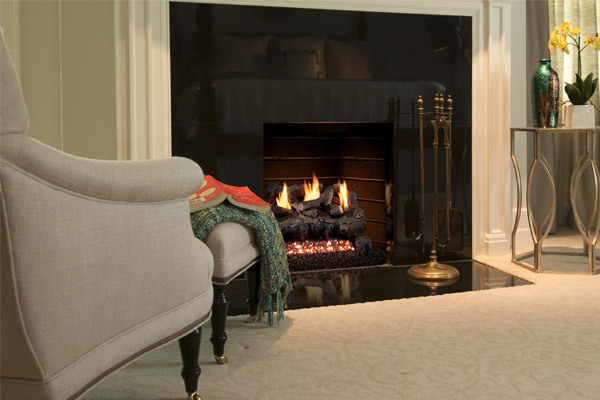 We even offer fireplace inserts and ventless fireplaces to help with your remodeling project. Since 1959, we’ve been Chicagoland’s favorite choice for all things chimney and fireplace. See how Early Times can help you with your fireplace remodeling project by getting a free quote online today.